It's a question that has been causing rifts between egg consumers for a very long time - but is the fridge brigade correct? The Australian Egg Corporation Limited (AECL) has looked into the scientific evidence behind egg storage and the risks of Salmonella. Science tells us that refrigerating eggs can assist in reducing the risk of Salmonella, but condensation on eggs, caused by temperature fluctuations, can increase the risk. Refrigeration is not the silver bullet that eliminates the risk of Salmonella because Salmonella risk reduction is multifactorial and complex and includes safe food handling techniques in the kitchen while preparing meals. Eggs are a fresh food product. Like farmers of other fresh foods, most egg farmers do a great deal to ensure the safety of the food they produce. Egg farmers all over the world carry out a number of measures to minimise the presence of Salmonella, ranging from hen vaccination, cleaning farm sheds, cool storage and transportation of eggs, minimising egg temperature variations, separating out dirty and cracked eggs, or even washing and sanitising eggs. AECL commissioned Dr Connor Thomas from the Schools of Molecular and Biomedical Science at the University of Adelaide to identify the best Salmonella risk assessment models for the egg industry. Dr Thomas reported that his research found that refrigerating eggs did help reduce the risk of Salmonella but a number of other risk mitigation measures were also very important. Consumption of food containing raw or undercooked egg was identified in the report as an important factor that can contribute to egg-related outbreaks of Salmonellosis. “These foods are often subjected to 'temperature abuse' and potentially can also acquire Salmonella from cross-contamination during preparation, storage and handling. The delay in the growth of Salmonella in eggs has been found to be temperature dependent. For eggs held at room temperature, growth may be inhibited for 2 to 3 weeks. Conversely, for eggs stored at 37°C, growth may occur in a few days. This effect is the result of a temperature and time dependent breakdown in the integrity of the 'vitelline membrane' in the egg. As eggs age, weakening of this membrane allows bacteria to migrate from the albumen into the yolk, or the leakage of yolk contents into the albumen. These changes have been suggested to be factors that can lead to significant growth of Salmonella in eggs. 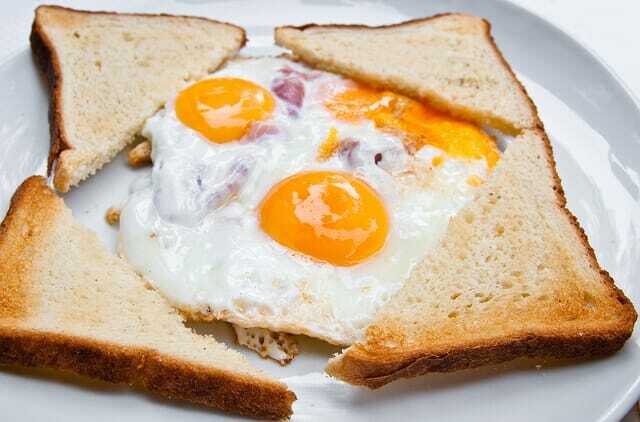 Thus, Salmonella in eggs may increase greatly as a result of invasion and growth in the yolk. Typically, at ambient room temperatures increases in cell counts are not observed until the eggs are stored for periods in excess of three weeks. This growth lag correlates with weakening of the yolk membrane. 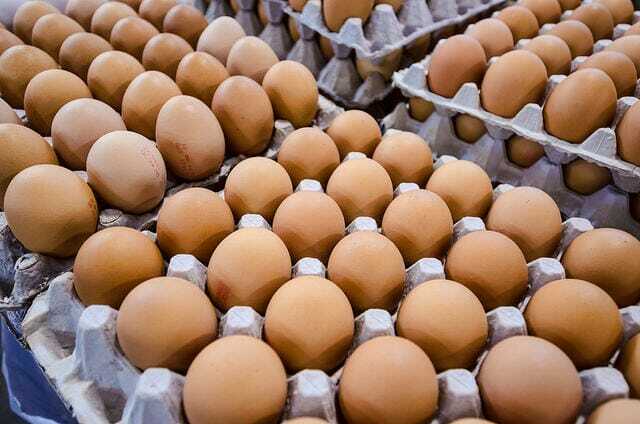 The term Yolk Mean Time (YMT) has been coined to define the period during which Salmonella present within the egg will be prevented from multiplying due to natural inhibitory and physical barriers. The term provides a useful expression of the interaction of storage time and temperature and capacity for growth from farm to retail for Salmonella. It’s been estimated that the YMT for eggs stored at 16°C is 26 days and for those stored at 20°C, 17 days. How should shops store eggs? Irrespective of the manner of cooking, risk associated with foods containing eggs is minimised by retail storage of eggs at 4°C. Risk increases by ~8 fold for uncooked and lightly cooked foods prepared from eggs stored at other temperatures once the YMT has been exceeded. However, well-cooked foods, such as scrambled eggs, are predicted to represent little or no risk because the cooking step inactivates all Salmonella. Refrigeration can help minimise the risk of Salmonella but refrigeration and then gradual warming (from supermarket to fridge at home for example) creates condensation. Condensation on eggs due to removing eggs from storage at 4°C to ambient temperature, while not a hazard in its own right, provides opportunity for bacterial survival and penetration of the shell. Moisture is needed to allow penetration, hence any stage of production where both moisture and a positive temperature differential may be present provides an opportunity for bacterial invasion. When eggs are removed from refrigerated storage and placed at room temperature, they may “sweat” due to condensation of water droplets on the egg surface. Consequently, industry quality assurance practices aim to prevent temperature changes that may cause condensation to form on the egg surface. The risk will be reduced for washed eggs due to reduction of bacterial loads on the shell surface. Regarding egg quality, storing eggs at low temperature helps to maintain the freshness, and at the same time limit the growth of Salmonella.